Outerloop Games can be really proud of its first video game: Falcon Age isn't perfect, but it boasts a unique and undeniable charisma. As it stands though, Falcon Age is easily one of the more memorable PlayStation VR games I’ve played and I highly recommend you get a virtual pet falcon of your own. Falcon Age is a fun and interesting exploration of what happens to people being exploited by a megacorporation and how they can fight back. With the added twist of the faithful Falcon companion, this single-player game often feels like it is a co-op regardless if you are playing in VR or not. It's well worth the time for anyone who wants an interesting story with a lovable feathery sidekick. Falcon Age is a genuinely impressive achievement in the VR space. The unprecedented amount of interactivity between you and the bird plays host to the build-up of a worthy friendship, as well as an essential partner once the going gets tough. Alongside a deep and meaningful narrative, this is yet another PlayStation VR experience that belongs among the elite. It foils its early potential by shifting focus from its avian star to a narrative and world that lack charm and excitement. Falcon Age’s narrative is touching and sincere. The concept of bonding with a pet or companion to accomplish your goals is not one that has been overdone, and will appeal to many players. 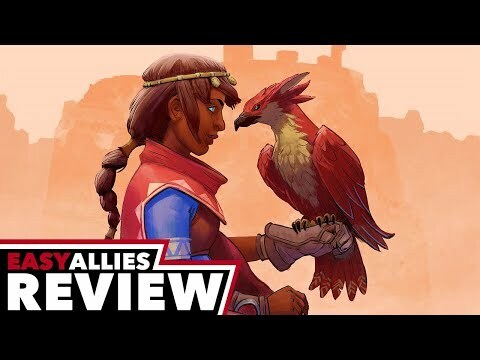 Technical issues aside, Falcon Age is a welcome title that not only helped us see a different angle of modernization than we are used to seeing in the medium, but was also incredibly cute and enjoyable.